The name, ANIARA, is derived from the poem, Aniara - penned by the Nobel Prize winning author, Harry Martinson. The poem tells the tale of the spaceship, "Aniara." The spaceship and its select crew are launched into space, away from Earth, which has been doomed by a nuclear war. The mission: to explore space and discover a new planet on which a better society can be created. Like this adventuresome crew and its ship, ANIARA was launched on a journey to medical exploration and discovery, leaving other providers far behind. Ola Andersson graduated from the University of Uppsala in Sweden with degrees in Economics and Political Science. 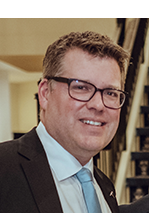 After working 17 years in international sales management for AB Astra (Sodertalje, Sweden) and Kabi Vitrum AB (Stockholm, Sweden), Mr. Andersson moved to the US to serve as VP and General Manager of Kabi Vitrum's Pharmaceutical Division. 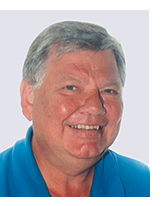 He then served as President of Pharmacia Hepar Inc. (Franklin, OH) for 14+ years. In 1997, he co-founded Diapharma Groups Inc. Mr. Andersson founded Aniara Corporation in 2002, which hold Aniara Diagnostica. Jonas is the responsible for developing global sales and marketing strategies as well as new products for our industry. His strategies utilize the latest tools to minimize cost while simultaneously increasing market penetration. He develops strong ties to clinical, academic and industrial clients in the Coagulation/Hematology field. Sheila is a graduate of Miami University with a degree in Accounting. She has 30 year of pharmaceutical experience. She is responsible for overseeing the day-to-day operations as well as strategizing for the future. 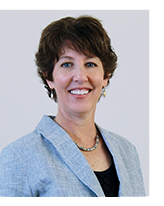 Lynne is a graduate of Miami University with a degree in Systems Analysis. She spent the majority of her professional career as a Manager in the IT Department at Proctor & Gamble. 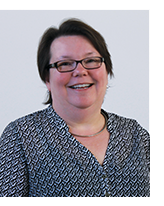 Lynne currently manages customer orders, customer service, and IT solutions at Aniara. 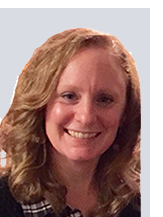 Kathaleen is a graduate of Wilkes University, PA with a Bachelor of Science, major in nursing. After serving as an officer in the US Navy Nurse Corp she moved to Merck & Co as a representative specializing in cardiovascular disease and the long-term care market. 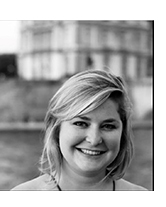 Kathaleen joined Aniara in 2009 and currently manages the sales department work closely with marketing. 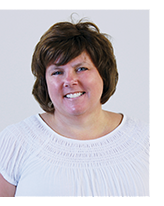 Ann is a graduate of Purdue University with a degree in Construction Engineering. 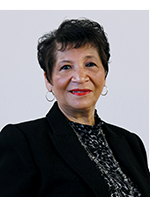 She specialized in Health Care Industry construction projects ranging from Assisted Living Facilities to LDRP Suites. Her years of experience in Project Management and Logistics transitioned well into the realm of Sales and Customer Service. 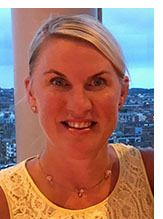 Ann joined Aniara in 2009 and currently works in sales and customer services for North America. Maria graduated from Greensboro College with a BS in Biology. She is a MT ASCP working at Duke for 20 years in the coagulation lab. The last 10 years she has been the technical supervisor for the clinical coagulation lab. Maria oversees all routine and special coagulation for Duke, Duke Regional Hospital and Duke Raleigh Hospital. She works very closely with the hematology physicians at Duke including Dr. Tom Ortel, a very influential hematologist at the center. Maria graduated from Ryerson University in Toronto, Canada with a Bachelor of Science in Nursing. She was a visiting nurse specializing in palliative care for 12 years prior to joining the Aniara Diagnostica team in February 2017. 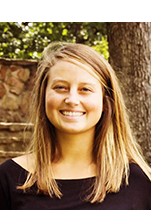 Janey graduated from Wofford College, SC in 2016 with degrees in Biology and Spanish. She began working with the Aniara Diagnostica team in late 2016 before fully coming on board in February 2017. Catherine graduated from Birmingham Southern College in May of 2015 with a Bachelor of Science in Biology and a minor in Psychology. She has had multiple experiences within the medical field and decided to focus on medical sales. 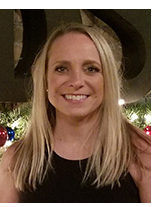 She graduated from the Medical Sales College in Denver, CO . Catherine was a collegiate soccer athlete and her family lives in Tallahassee, Florida. 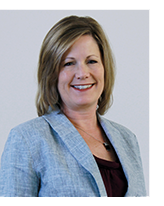 Colleen is a regulatory professional with 20 years of experience in in vitro diagnostics, medical devices and pharmaceuticals. She brings industry experience as well as clinical research experience in academia. She was born and raised in the Cincinnati area and lives there with her two children. She is a thrill seeker and enjoys scuba diving, traveling to new places and meeting new people. Laura is a CPA that manages both the accounts receivable and accounts payable departments. Her other roles include cash management, customer data collection, as well as vendor vetting and accountability. 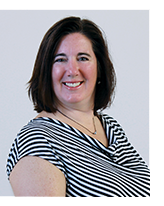 Beth is a graduate of Miami University with a degree in Systems Analysis. She spent the majority of her career as a Project Manager in the IT Department at Ashland Chemical. Beth oversees the shipping area and is also responsible for receiving products. Michele is a graduate of the University of Dayton with a Bachelor's of Science in Biology. Her work experience in API manufacturing and consulting focuses on quality assurance, equipment qualification, and calibration. She works with all departments to assure that written procedures are followed and adequately documented. 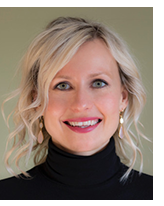 Lavina attended Kaplan University in Psychology, She is a highly accomplished, versatile, and results-oriented business professional with several years of comprehensive experience. This experience involves management development, supervisory training, administrative training in corporate settings, and experience in the educational environment. She has several years' experience in the bulk pharmaceutical and solid oral dosage manufacturing industries. Her key strengths are in organization, ability to prioritize, delegation and control of work flow, and seeing projects to fruition. Karen is a graduate of the University of Phoenix with a degree in Arts with a concentration on Web Development. She works closely with most departments and is responsible for updating the company website with product information and documentation.